The Vanguard Professional Services team is renowned worldwide for its expertise as security solutions professionals. Team members have on average 30 years of mainframe and enterprise security experience. Vanguard consultants work independently or with internal staff members to complete pre-defined and scoped security projects on time and on budget. Doug Behrends joined the Vanguard Professional Services team with over 30 years of information systems experience in 2003. Doug is currently focusing on remediation work to assist Fortune 500 companies in improving their security environment. Major activities related to this have included evaluating and implementing role-based security access structures and converting production batch processes from a single user ID to unique user IDs by line of business. Prior to joining Vanguard, he performed multiple IT functions such as Operations Manager, Office Systems, Application and Systems programming and DB Management. His breadth of knowledge spans across numerous verticals including manufacturing, insurance and financial services where his expertise lent itself to MVS system installation and maintenance, productivity improvement/automation, security assessment and product design. John Hilman brought over 25 years of information systems experience when he joined Vanguard´s Professional Services team in 2005. Leveraging his technical background and expertise, John aids clients with security assessments, remediation projects, DB2 internal security migration and training for security administrators. Prior to joining Vanguard, John spent 20 years with IBM, the last five as a Certified Technical Trainer for RACF security. Throughout his extensive career, he has held numerous IT positions in Computer Operations, Systems Programming, Security Audit and Security Administration. Throughout his remarkable career Phil garnered expertise that spans IBM z/OS Security Server (RACF), security for multiple versions of the IBM Customer Information Control System (CICS®), IBM´s cross-platform messaging software, WebSphere® MQ (formerly MQSeries), IBM Information Management System (IMS™) and IBM DB/2 relational database software. 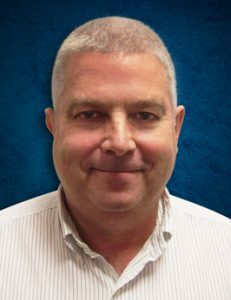 Phil is a member of the IBM Gold Team of Independent Consultants and holds certifications in IBM smA2Rt CA ACF2TM to RACF Migration Tools, CATop Secret® (TSS) to RACF Migration Tools, and has been certified to instruct CICS, RACF, and DB2 courses for IBM. Additionally, he is also an integral member of Vanguard´s Professional Service team where he consults with clients on all facets of z/OS and RACF security. John Sundberg brings 40 plus years of IT experience and knowledge to Vanguard. Before joining us, he was an IT Specialist with IBM, assisting countless organizations with many challenging assignments. His diverse background includes hardware planning, software migrations and new product installations. Before joining IBM, he had a twenty-seven year tenure with a major broadcasting company. In this capacity he implemented, and architected their first security product ACF2. Two decades later he oversaw and architected the transition to RACF. He and his team performed the conversion using only in-house talent and the Vanguard Administrator. This environment demanded high availability with little or no down time. He has since gone on to work with other organizations in the RACF security arena. John’s focus is on security remediation and assessments. Peter Roberts joined Vanguard’s Professional Services team in January of 2012 and has more than 30 years of experience in Information Technology and Systems Programming. His extensive knowledge-base and expertise allow Peter to assist clients with ACF2/TSS migrations to RACF, z/OS and RACF assessments, RACF remediation projects, RACF training and Vanguard software implementations. Prior to joining Vanguard, Peter spent 18 years with IBM Global Services where he held a number of roles and responsibilities including Systems Programming, Security Administration, Business Controls (Auditing) and performed security related consulting services including ACF2 and RACF Security reviews, Security remediation’s and ACF2 / Top Secret to RACF security conversions. Due to his varied background, Peter has extensive experience across multiple verticals including government, retail, banking, distribution, manufacturing, utilities and finance. Peter serves a key role as part of the Vanguard Professional Services team providing RACF security assessments and remediation, ACF2 and Top Secret migration assessments and migration services. In addition, Peter provides training to customers attending Vanguard’s annual security conference. Stuart Walton joined Vanguard’s Professional Services team in June of 2013 and has 34 years of experience in Information Technology. Before joining Vanguard, Stuart spent 22 years with Blue Turtle Technologies supporting clients using a multitude of software products on various operating systems both in and out of the security arena. In 2003, when Blue Turtle became the South African distributor for Vanguard, Stuart continued working as a senior technical consultant and moved his primary focus to Vanguard software and services. His expertise includes dealing with government facilities, retail, finance, health, utility, metal industries and insurance companies. Prior to 1991, Stuart worked as a Systems Network Programmer and Systems Programmer installing and implementing 3rd party software tools for a variety of companies. Currently he has expanded his knowledge to include; z/OS, Solaris, Linux, Microsoft, VMware, PBX/VoIP Phone Systems, Cisco and Networking while continuing to focus on Security and GRC related issues. This specialized background has resulted in experience with multiple different Regulatory and Compliance projects. He has over 10 years’ experience maintaining online transaction based data centers in multiple states and countries. Tony has been an Information Security Professional for over 30 years with expertise in RACF and mainframe security technologies. Tony maintains a CISSP certification and received his Master of Science Information Technology degree from the University of Maryland University College and Bachelor of Science Information Technology degree from the California State University Long Beach. Prior to joining Vanguard’s Professional Services tean, Tony completed a 20-year career with IBM servicing domestic and international security customers across government, financial, retail, services, and other industries. Tony has performed duties as a systems analyst, line and project manager, programmer, pre-sales technical support, and system deployment. Tony lives in Southern California with his wife of 14 years and is proud and fortunate to return to Vanguard as a member of the Professional Services team.